A long lost classic from Golden Earring! Is Moontan Prog or not prog? Talk about it! London, UK - Esoteric Antenna is pleased to announce the release of “SIGNAL TO NOISE”, the new studio album by twice Grammy nominated PINK FLOYD engineer ANDY JACKSON. “Signal to Noise” is a fine, modern, progressive work, which draws on Andy Jackson’s exemplary work as an engineer and producer. Besides being an allusion to Andy’s sound engineering background, the title refers to many of the lyrical themes of the album. Andy explains; “The album reflects on the sorting of what is important in life from the humdrum of everyday existence, and is in itself an analogy for the process of the creation of the album”. Andy Jackson began his career at Utopia Studios in London, training under James Guthrie, a relationship that continues to this day with the duo being co-pilots of Pink Floyd’s sound. Andy had success as a recording engineer at Utopia, including hits with Boomtown Rats “I Don’t Like Mondays”, before the call came from James Guthrie to follow him into the world of Pink Floyd, to work on the film of “The Wall”, an offer he couldn’t resist, having been a Floyd fan for many years. So started a relationship that continues to this day, (on albums such as “The Final Cut”, “A Momentary Lapse of Reason”, “The Division Bell”, “Pulse”, Roger Waters’ “The Pros and Cons of Hitchhiking”, David Gilmour’s “About Face”, “On An Island”, “Live in Gdansk”), resulting in two Grammy nominations for his work and Mix magazine’s award for best live sound engineer for “Pulse” tour. He is also engineer and a co-producer of the soon-to-be-released Pink Floyd album, “The Endless River”. 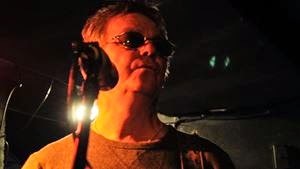 Along side his work with Pink Floyd and wider work as an engineer, he has recorded three albums, recorded with friends, as a musician in his own right: “On the Surface”, “Obvious” and “Mythical Burrowing Animals”. All three works were ideas ahead of their time it would seem. He did find time along the way to produce work for other artists, including the seminal British Goth band Fields Of The Nephilim. This again was the genesis of a relationship that would lead to the present day, after ex Nephilim Tony Pettitt asked Andy to join his new band The Eden House as guitarist. After three years with Eden House, Andy felt it was time to move on & embark on a new challenge of a completely solo album project. This has lead to the creation of the “Signal to Noise” album, a wonderful sonic experience that is sure to Andy Jackson heralded as a significant creative force in modern Progressive music. 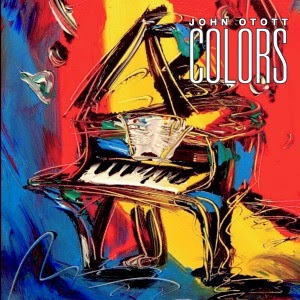 John Otott, instrumental new age artist, has just released his new album titled Colors. One of the tracks that I felt stood out was "Tesoro." Its elegance and beauty will take frazzled nerves and tried spirits and change those feelings to peace and joy. Otott's excellence with the ivory keys will deliver a slice of heaven to your ears. With music like this it's not so much about the journey but about the destination - where it can take you. "Tesoro" and many other tracks on the new album will provide instant stress relief. Find out for your self and listen to the stream provided. A multi-instrumentalist and composer, John started playing piano at a young age. Taking up the bass guitar in high school, John went on to play in a series of rock bands and regularly performed at such Hollywood hot spots as The Whiskey A Go-Go, the Troubadour and the Roxy. He then transitioned into an instrumental jazz/rock band that performed with such artists as Lyle Mays (of Pat Metheny fame), Latin star Tania Maria, Grammy award winning sax player Gato Barbieri and Thelonious Monk Jr. However, he always maintained his love for piano music composition. COLORS is John’s latest release (November 2014). The CD contains a collection of piano-based instrumentals interwoven with emotional and often dramatic string and keyboard arrangements. Many of the songs are inspired by his life events, conveying a true sense of meaning through music. 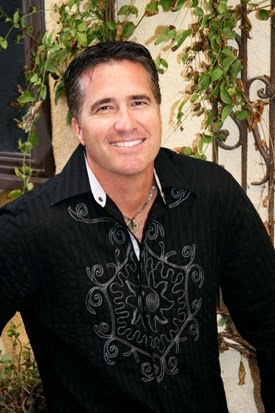 John is a voting member of the Recording Academy, the organization that, in addition to producing The Grammy Awards, supports music industry professionals through advocacy, outreach programs and student initiatives. The Ides of Gemini was a quite a find! They make some very powerful music inspired by the doom metal kings Black Sabbath. The featured track is “The Adversary,” which is a fine example of their talents on display. I am excited to discover this band and look forward to what they will bring to the table in the future! Ides of Gemini - The Adversary (New Song 2014) from Hard & Heavy Old on Vimeo. 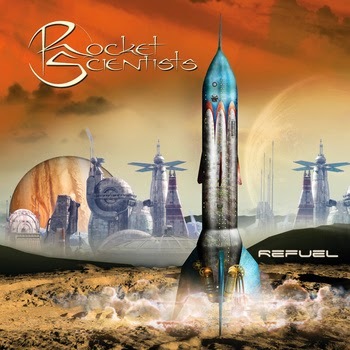 The new album from prog rockers Rocket Scientists is forthcoming. Here is one select track to enjoy. You can stream the entire album on Bandcamp. Listen to "The Lost Years." This was real treat to hear. David Bowie has been making some incredible music now for over 50 years and now with the recent release of (yes yet another compilation) Nothing Has Changed, a new 3 CD and 2 CD set, well some things have changed. The set does offer some unreleased tracks and variations on the Bowie catalog staples. I thought "Toy (Your Turn To Drive)" was quite good actually. There has not been much over the years that Bowie has produced that has not been exceptional so this is yet one more track to enjoy! 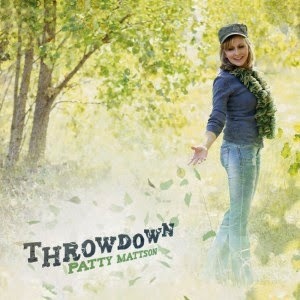 Patty Mattson has a new album out with several country flavored tracks. One of her favorites and mine is "Dear Mama." Everyone has a special connection to their mother and the track is a heartfelt message to Patty's or your own. Anyway you look at it-it touches you in some way. It doesn't hurt that it has a bouncing country tune to get across all those words either! Great music and lyrics are all you need to make a message clear and it sure looks like this lady was successful on "Dear Mama." Prior to her record releases, Mattson had her songs included on the soundtracks of several motion pictures including Friends and Lovers starring Robert Downy Jr. and Claudia Schiffer as well as Ghosts Never Sleep starring Faye Dunaway, Tony Goldwyn, and Sean Young. This is just the tip of the iceberg for this talented singer songwriter as Mattson continues to add to her Recording, Songwriting, and Voice Over successes with her flourishing companies Madison Music & VO and Studio19 Songs. Armed with an impressive performer’s resume she has landed feature roles such as the Peacock Centerpiece for Pier One, the Speedtalker for Toshiba, Lollipop in the Indy film Into Temptation with Jeremy Sisto and Kristin Chenowith, and the soul singing karoke nun in NBC’s Rhythm & Blues. She also appeared in Unsolved Mysteries and What Should You Do. Patty Mattson, this curvaceous, quadruple threat for songwriting, unforgettable vocal stylings, acting, and mellifluous and character-driven voice overs is pure magic. Watch, listen, and know. 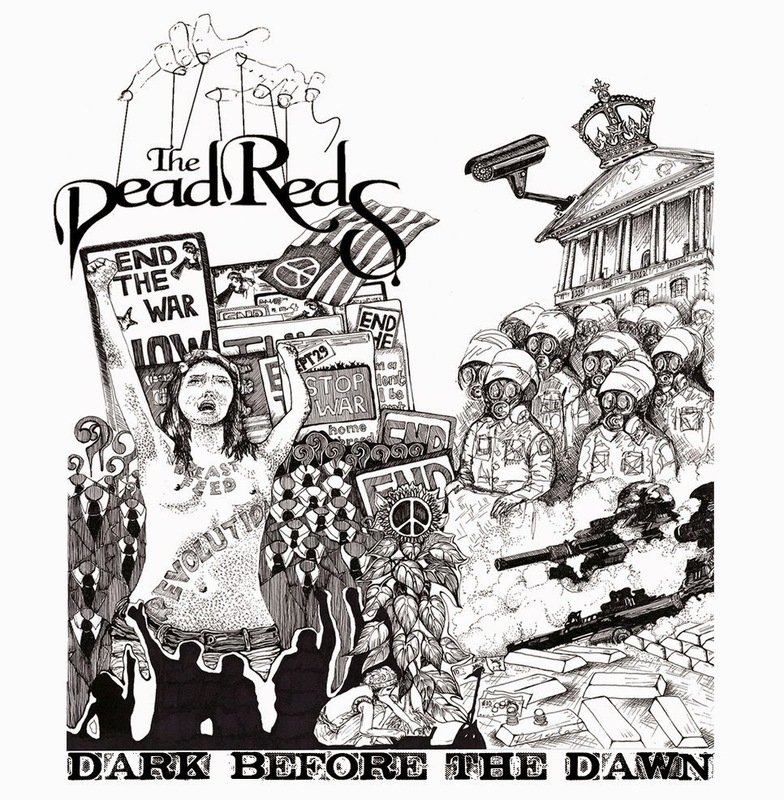 The Dead Reds perform a smokin' track titled "Born To Survive." This is raunchy rockin' blues influenced music. Not for the faint of heart. If you can picture a smoke filled pub with the house band wailing away in the wee hours of the morning well...The Dead Reds would be that band! 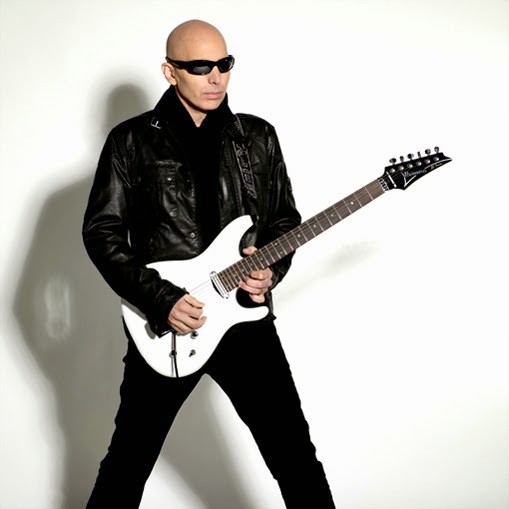 This is what it was like seeing Satch on tour this year, electrifying! 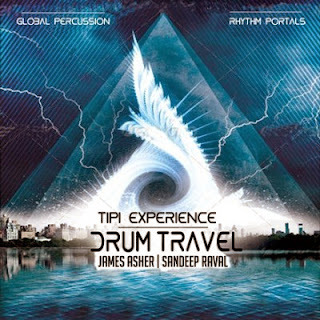 James Asher and Sandeep Raval produce a multitude of world beats and rhythms that have the ability to take you on a trip inside your mind's eye. Any fan of world music or drums will enjoy this incredible musical journey! Listen to "If The Earth Could Speak" and hear the drums and incredible sounds that make it all come alive. Multi-percussionist Sandeep Raval teams up with worldbeat producer and artist James Asher to create a succession of tracks celebrating the power of drums in their many diverse colours. Embracing the broad stylistic range they have both experienced:- Worldbeat, Latin, Ecstatic dance, Shamanic, Jazz, Blues, Indian folk, Meditative and Native American, the music pulses with the vibrance of the broad galaxy of the worlds with which drums connect. On the second disc, the TIPI experience, the rhythmic journeys deepen. Drum Travel draws on many profound rhythmic traditions to illustrate the ability of drums to ease and empower transformative personal journeys that can have extraordinary and life changing impacts on the traveller. Crossing cultural divides is familiar territory to Asher and Raval, and this is further uplifted by two invaluable contributors: – the highly original singing and song writing of Italian singer/painter Carolina Maggio, with her unique and poetic approach, and the phenomenal musicality of guitarist and bass-player Simon Brewin. Casting aside previous conceptions and assumptions about genre and category will enhance the experience with this double album. Dance to the drums, play along with the drums, meditate to the drums, but most of all enjoy the musical freedom that a deep love of drums invites, and find and enjoy your own travels with some compulsive accompanying scores. I was so taken with this beautiful track I had to post it right away. Without a word it sweeps you away and brings so much emotion. It nearly brought me to tears. There is solace and a slice of heaven in this woman's fingers. Composer and pianist Marika Takeuchi, a native of Japan, began studies in classical music at the age of three. In addition to the piano, she played violin and french horn for several years. She began studying composition and building career as a composer at the age of 18 at Shobi Music College in Tokyo. Her early career includes composing for Japanese national radio, a major TV series and Universal Music Japan. As well as being strongly influenced and fascinated by classical impressionism and film music, her passions have been also extended into new age music, as she truly believes that music has the profound power to heal and change people’s lives. 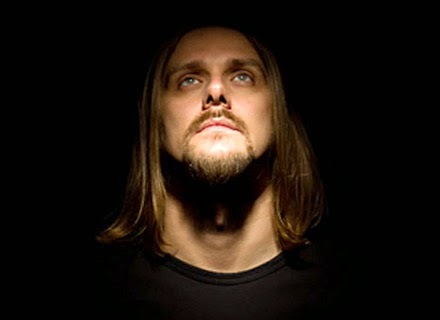 Great Track off the recently released Walking on a Flashlight Beam From Lunatic Soul. I have worked with Andrew Pearson on some of his projects and have always been impressed with his artistic vision and the talent he brings to the table. He just sent over this killer new track for a listen and once again he has captivated me with his music and the expressionism within it. "It Wakes, the Morning" is live from the October 18th show at the Darress theatre. The trio is perfect to present this new offering. Guitar, bass, drums and Andrew's unique and distinctive vocals get the job done. Andrew: After a decade of touring I was tired and bereft of ideas. I quit. Built another career and left music, my first love, for many years. A late night phone call from my long time friend and muse, Dia Stein, brought me back. The first album of The Third International (as we were to be called) featured Ian McDonald (King Crimson, Foreigner) on woodwind, Nick DiFrisco on drums and Bill Foster (ex Billy Cobham) on bass. It was called Beautiful Accident and was the first in the trilogy. 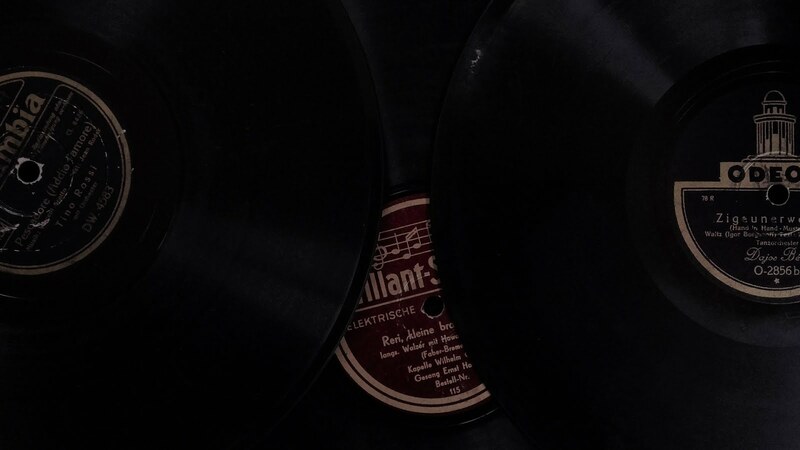 Further recordings with changing lineups were to follow: Entre Las Americas/second album in the trilogy, Chemical Eyes/single, Ides/4 song DVD compilation and Formaldehyde/single have made up the steady flow of material I have offered my listeners.